It's not much compared to most of the milestones here, but I found my 50th cache today! 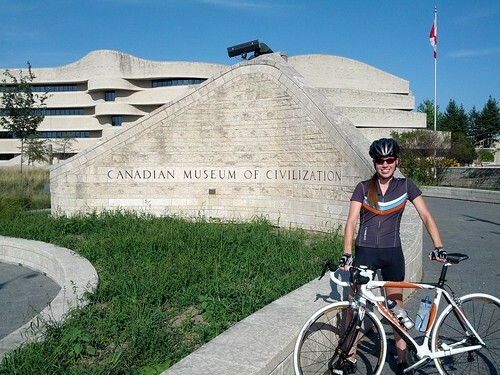 It was an EarthCache: GC2F770 Tyndall Stone: Manitoba Rocks! I'm glad I was able to mark this milestone with such an interesting cache! It was a great day for caching (and biking); I found six caches of five different types (two EarthCaches, a traditional, a webcam, a multi and a puzzle)! Congrats on your first 50. Nicely done getting all those cache types in one day. That's a nice cache for your 50th! Congratulations. Woowoot!!! congrats on your 50th! agreed, this earthcache is a fun one to do and a great milestone. congrats to my 'twin'! looks and sounds like you had a really amazing day!! good for you for doing the icon challenge as well very cool!! here's to many more finds and milestones! Well done. May they all continue to be as exciting as the first.